Well, it’s that time of year again, dark evenings, warm fires, mince pies. Yes, it’s Christmas. What? Christmas is still in December? Really, because I swear last week I bought some mince pies, all wrapped in Christmassy packaging and the best-before date was in November. By now we all know that shops start selling Christmas paraphernalia around August and pubs have a little Christmas tree in the corner to advertise their Christmas lunches in September but why are they selling mince pies in November? Yes, I suppose you could freeze them to get round the two-week best before limit but really, are we at risk of a shortage, are we facing a mincemeat deficit? 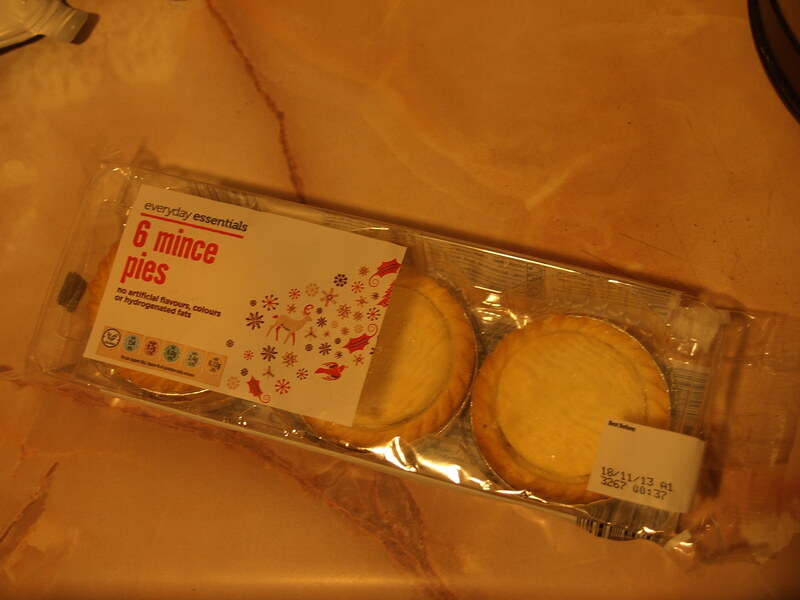 And yes I bought some, as you can see above, and have eaten them well before the big day. Naturally, well it is (nearly) Christmas and I still have half a tub of ice cream to use up.